The San Francisco Digital Summit 2018. In just two weeks. At the Hotel Nikko San Francisco! Do you work in digital marketing, content marketing, social media, travel technology or data strategy for the travel sector? If you have answered yes to any of the above, then you need to clear your diary on April 9 and 10th. Attendees confirmed to attend include Hyatt, TripAdvisor, Expedia, Fairmont, Hilton San Francisco, Accor Hotels, Kiwi Collection, Tourism Vancouver, Booking.com, Viceroy Hotel Group, Turkish Airlines, Diamond Resorts International and many more. The summit, just two weeks away will tackle topics such as the role of emerging technologies in travel, personalization, marketing strategies, utilizing data and technology to deliver an exceptional customer experience & more…as this is just the start. The expert speaker line-up for 2018 includes Marriott, IHG, Jet Blue Technology Ventures, Choice Hotels, Facebook, Tencent, Winding Tree, OneFineStay, Cathay Pacific Airways, Lyft, Lola, Air Canada, Hopper, Hipmunk and more! Emerging technologies such as voice, AI, machine learning, and blockchain are all being talked about by the travel industry, but are they truly getting dissected? The San Francisco Digital Summit 2018 is the only event that will cut through the noise, separate the real use from the hype, and enable travel brands to truly come to grips with the opportunities for digital marketing campaigns. - Blockchain Demystified - How will it Change Your Business? - The Power of Mobile to Drive Interaction; and much more! This event is the only place you will be able to meet the cream of the crop in travel and walk away with insights you can implement as soon as you get back to the office. Don’t risk losing out on insights that will catapult your business in 2018 and beyond - Does your strategy stack up? Click here to reserve your place or contact Renu on her details below. WeChat Pay and Alipay dominate the Chinese payments sector. They are the way in which most Chinese consumers make their purchases, allowing trillions of dollars of transactions, but they are little know in the West. Click on the podcast below to get familiar with these growing giants and how you can integrate them into your travel brand. To download the full report on the changing face of travel payments completely for free, click here. Expedia, IHG, Accor Hotels, Lyft, Air Canada, Dorchester Collection, Tencent, Cathay Pacific, Choice Hotels, Lola, Booking.com, Turkish Airlines, Jet Blue Tech Ventures and more - some of travel's leading brands confirmed to take the stage at the West Coast’s largest digital travel summit, in just three weeks’ time. Given the proliferation of mobile as a travel search, booking and engagement platform, EyeforTravel have invited Scott Brodows, VP – Hotel Supply from Hopper to deliver a presentation on Day 2 of the summit (April 10th). Scott will present on the following case study: The Hopper Way - Capitalizing on the proliferation of mobile for travel search, planning and customer engagement. Mobile search - how has this changed the consumer behavior around planning a trip? Does a mobile platform better enable a holistic, end-to-end customer experience? The use of push notifications to drive sales - how can this be optimized? Furthermore, the summit will tackle topics such as the role of emerging technologies in travel, personalization, marketing strategies, utilizing data and technology to deliver an exceptional customer experience & much more! Tim Gunstone, Managing Director at EyeforTravel said "Innovative customer engagement is at the heart of every successful travel brand – and we are at a tipping point where it is essential for travel brands to focus on the customer experience and deliver personalized messages and content. The proliferation of mobile has been a massive enabler allowing brands to engage and build loyalty with ‘connected travellers’ throughout the travel cycle. Attendees confirmed to attend include TripAdvisor, Fairmont Hotels, Japan Airlines, Disney Parks & Resorts, Expedia, Diamond Resorts International, Choice Hotels, Virgin Hotels, Singapore Airlines, Winding Tree, and so many more. Payment methods around the world are diverging and while this is creating complexity, there are also opportunities for travel brands willing to embrace the payments revolution finds a new free report. An explosion is going on in fintech to cater to travellers and allow them to move money around more easily and pay seamlessly. Technological innovation, alongside cultural preferences, has led to a market where a customer might prefer to pay in cash, credit card, bank transfer, online payment, currency card, e-wallet or mobile app depending on where they hail from. 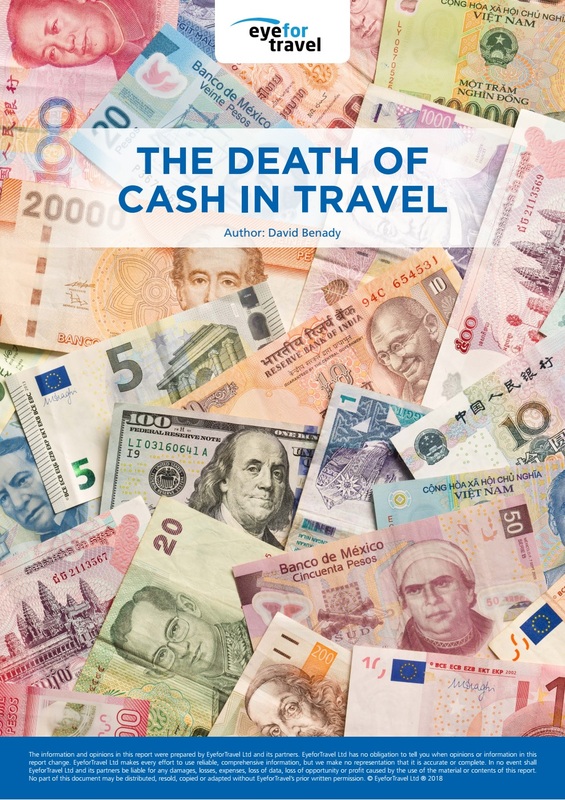 Although this seems like a headache for travel brands, there is value to be mined from adapting to the payments landscape market-by-market according to The Death of Cash in Travel? report, which is free to download now. The report notes that there are gains to be made from implementing localised payment methods through better conversion rates, improved data gathering, superior engagement, and fraud reduction. Payments should become another part of a brand’s localization strategy as it makes the consumer more comfortable making the transaction and likely to trust the brand. “The more payment methods you can offer, the more chance there is to convert a customer,” says Jorge Rodriguez, marketing and e-commerce manager at easyHotel. However, having too many payment methods can lead to confusion says Peter Quinn, head of payment and revenue services at Eurostar: “Many companies and online merchants are starting to have very cluttered websites with many options of how to pay.” He points to pointing to Lufthansa, which has tabs of different payment methods, from EPS Online to UnionPay, Sofort Banking to Giropay, as well as the major types. “Our selection methods for things like Paypal and also payment methods like Apple Pay, for web, in app and Apple Pay contactless in store, means looking at the impact they’ll have on conversion rates, the ease of use for the customer, the security it provides to customers and ourselves to reduce fraud rates and the cost of processing,” says Quinn. Eventually, the payments headache may be solved by payments being aggregated by tech giants. This is the view of Shachar Bialick, founder and chief executive of payments platform Curve. He believes the world of money will eventually consolidate into a powerful payments “operating system” that will aggregate all bank accounts, savings and credit and debit cards under one service. This is what Curve is attempting to do. In his opinion, “It is inevitable that a platform will converge all money into one operating system, one point of access. It could be one of the big tech companies, one of the GAFAs (Google, Apple, Facebook, Amazon), it could be a Paypal or Mastercard or it could be Curve, but it will definitely happen,” he says. However, this is a very long way out currently, so travel brands will need to explore the word of travel payments and prepare for diversity as payment methods explode. Is cash in terminal decline? A new free report from EyeforTravel finds that the payment landscape is changing, with a host of new solutions rising in popularity across many key travel markets. How will the payments landscape change? The next billion consumers who will become regular leisure travelers will look different to those in established travel markets in the West today. They will come from mobile-first societies where the digital environment has evolved in a different way. This means they will bring with them new payment methods that travel brands will need to adapt to. Mobile wallets are already hugely popular in countries such as China, India, Indonesia, and Kenya. In China, many consumers keep their plastic on hand solely for when they travel, instead using apps linked into the social sphere, such as WeChat Pay and AliPay, when they are spending at home. And that spending is soaring, already reaching into the trillions in dollar terms. Brands that can tap into the Chinese app space and allow payment through these giants are giving themselves a competitive edge in the world’s largest travel market. Innovation isn’t just restricted to high growth economies in Asia-Pacific. Mobile wallets are gaining traction in the West, as are currency cards controlled from apps that make a compelling case to consumers through far lower fees and charges than traditional bank cards. Sweden is already a largely cashless society, and it is even asking the question of whether it needs to slow down in its transition away from cash. So, is cash in terminal decline? Well, not quite. It will remain popular for many years to come and many pre-loaded currency card operators find travelers largely use them abroad to withdraw cash sums than to use them directly for payments. Geography is critical in the trajectory of cash and local preferences are key. Whilst some developing countries are sprinting ahead with digital payments, others are almost exclusively cash-based. In developed countries, ingrained behaviors and infrastructures are also supporting cash. Germans remain highly wedded to physical currency, carrying more than anyone else in Europe, for example, and this will take a long time to change. Cash has a feeling of security and trust for travelers that is hard to replace and is undeniably useful in a wide number of destinations. Nonetheless, the growing range of cash alternatives adds up to a more diverse payments landscape than anything that has come before and travel brands can reap the rewards from plugging in. Consumers are more likely to spend when they feel comfortable and secure in their purchase, which can be aided by localized payment formats. Introducing seamless payment methods will induce more consumer spending and travel brands that can adopt these methods successfully can help to reduce that most stubborn of e-commerce issues – purchase abandonment – as well as create a more inclusive brand experience that is embedded into social media applications. There are other advantages as well, with newer payment methods and CRM systems richer data streams are possible that can allow operational decisions in real time. There is also potential to reduce fraud through more sophisticated authentication. However, there is also the risk of additional complexity and travel brands will need to consider their customer make-up and ability to adopt new payment methods rather than rush headlong into adopting a new medium. So, please read on and discover how and where the payment environment is changing and we hope you enjoy this piece of EyeforTravel research. EyeforTravel have put together a summit – the San Francisco Digital Summit 2018 (April 9 – 10), which will unite leading players from the travel market including hotels, airlines, OTAs and metasearch companies, travel technology companies, as well as the start-up community. Attendees confirmed to attend include IHG, American Airlines, Hyatt, TripAdvisor, Fairmont, Expedia, Marriott, Choice Hotels, Accor Hotels, Winding Tree, Priceline, Booking.com, Cathay Pacific Airways, Lola, Air Canada, Singapore Airlines, Disney Resorts and many more! The event will see attendance from senior level digital marketers, customer experience, loyalty and technology experts, as well as e-commerce, product managers and data specialists - All of whom will tackle and examine the steps needed to develop and deploy a strong digital strategy, to create a customer-centric business which engages the connected traveller in a data heavy world. If you work in travel and focus on digital marketing, mobile, travel technology, and data - this is the only event which will enable you to separate the real from the hype and to walk away with actionable insights. We have topics from Expedia covering AI breaking new ground, Choice Hotels discussing their Approach to Enhancing the Physical Experience Through Digital, Cathay Pacific and Facebook discussing their social media and customer engagement strategies, to Booking.com, Lola, Marriott and Accor tackling the use of data and technology for a seamless travel experience to drive loyalty. Develop A Marketing Strategy That Works and Keeps Your Customer Coming Back: Know at the right time, with the right message what product your customers want. This takes your customer insight to a whole new profitable level and crucially these profits stay within the industry. And Implement proven strategies in social media, content, personalization, brand storytelling and more! Exploit New Platforms: Conversational commerce backed by AI allows direct sales, better service and cuts costs. Whether via web, brand app or through messenger apps (900 million FB messenger users compares favorably with 100 million Uber users) the industry is uniting chat, service and commerce. With just 4 weeks to the event, now’s your chance to get amongst the movers and shakers in travel – click here to join the travel elite at the West Coast’s largest digital travel summit of 2018! This keynote panel discussion will be featured on Day 2 at the upcoming EyeforTravel San Francisco Digital Summit 2018 on April 9-10 at Hotel Nikko. What is the impact of a changing device and data landscape on product and partnerships? Data dating - How do you sift through the painful flings and find beneficial committed data partners? What is the role of the agency model in the current climate and what kind of partnerships does that involve? What is the role of the agent in providing this complete customer experience? Will your digital strategy stack up in 2018 and beyond? Click here to learn more and don’t miss your chance to be a part of the West Coast’s largest digital travel event! The San Francisco summit currently holds the hottest attendee list in digital travel with brands confirmed to attend including: Expedia, Marriott, TripAdvisor, IHG, Cathay Pacific, Accor Hotels, Hyatt, Air Canada, Choice Hotels, Singapore Airlines, Booking.com, Lola, The Travel Corporation and many more! The West Coast’s largest digital travel summit will tackle topics such as the role of emerging technologies in travel, personalization, marketing strategies, utilizing data and technology to deliver an exceptional customer experience & much more. And this is just the start.